In our catalog you can find lots of design pendant lights from different design brands such as Design House Stockholm, Dreizehngrad, Enrico Zanolla, Graypants, In-es.artdesign, John Green, Lightyears, Pani Jurek, Petite Friture, Pott, Schneid, Secto Design en Tom Raffield. 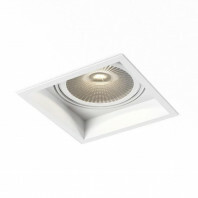 Which design ceiling light do I place where? 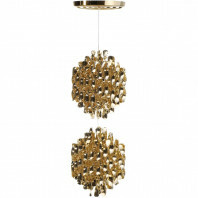 Placing the right pendant light in different rooms is not an easy task. Besides the fact that everybody has their own taste, it is very important to know where to place which lamp. The task of lamps can be very different, for example you’ll want to have a different sort of light in the kitchen compared to your living room. 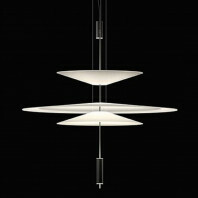 Above your dining table you’ll want a strong light, so you can really see what you are eating. But regularly you’ll also read at that table, so it is also important that the light is optimized for this. 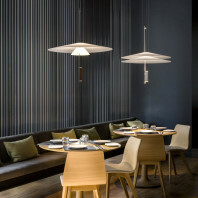 That’s why we propose to choose a light in function of the shape of the dining table. 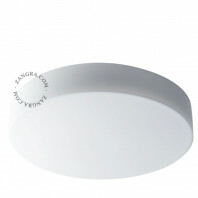 If you have an oblong table, it is better to have a oblong ceiling light that covers most of the table. If you have a round or square table, it might be enough to place just one central design pendant. 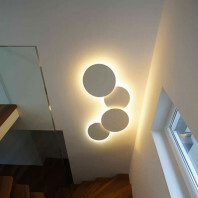 The current trend is to place different ceiling lights next to each other, in different sizes or even different colors. 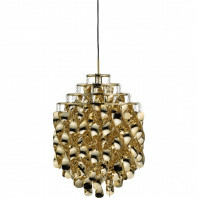 In other rooms such as the living room you will want something more decorative, or a light with a cool effect. This is because you want to create a certain kind of atmosphere for the whole room and you don’t need direct lighting for this. 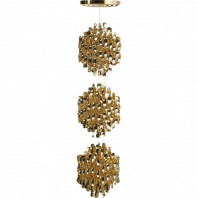 If you have any difficulties in choosing the ideal pendant, you can always contact us via chat, mail or phone. 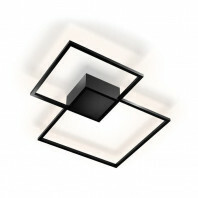 All our ceiling lights are being shipped for free and you can try them at your home during 30 days. If you don’t like them, or for any other reason, you can just send them back for free and we’ll pay you back the money. 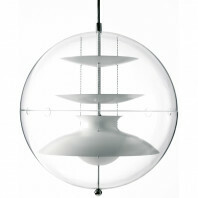 At Lamptwist we also sell a nice range of designer & modern table lamps. A table lamp can create a nice atmosphere in your house, for example when they are placed on a cabinet or small table. 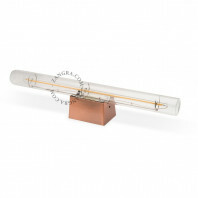 If you are looking for lights to work under, you should take a look in our desk lamps category. A table lamp is ideal to put on a side table, for example next to the sofa. These can then be turned on in the evening and it will provide an attractive light. 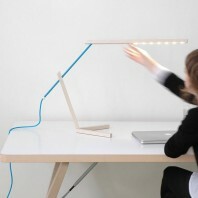 You can also use the table lamp to create atmosphere in a given space. This way you can give certain corners or pieces in a room extra attention and make them more cozy. Just as with floor lamps, table lamps are very easy to move. You also have different types of table lighting such as lamps that give light up or down, or lamps that shine both downwards and upwards. 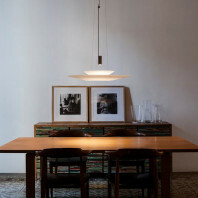 A good example is the Enrico Zanolla Picia table lamp, this light only shines upwards and trough the glass. While the Graypants Palmer table lamp shines both up and down, as well as through the wood. A lot of table lamps are dimmable and come with a switch. On the product page, you can always check whether this is the case or not. If you cannot find this information, or you have any other incidental questions, please contact us. You can try out all our lamps for 30 days at your home. This way you have the opportunity to see if the lamp is really your thing or not. If this is not the case, no problem, we all have our own taste. You can ask us a free return label that you can put on the box. This label allows you to send the package back to us. After we received the package back, we will also refund you completely. At Lamptwist we can also provide you with outdoor lighting. In our catalog we have garden lights of different sorts, with different goals. 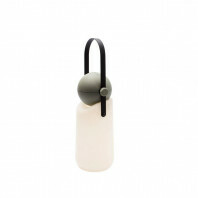 For example outdoor wall lights, outdoor table lamps or even outdoor sensor lights. We are also up to date with the latest technologies and we sell outdoor led lighting and solar garden lights. 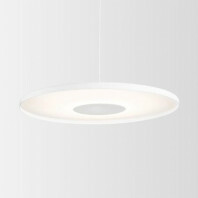 Just as with pendants, when choosing an outside light you should know what the task of the light is. 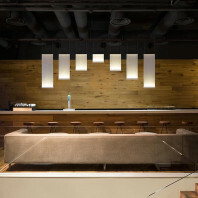 This can be functional lighting or ambient- and accent lighting. 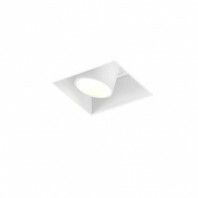 For example when placing a light at a garage or front- and backdoor, we use a functional light. Or when you have some stairs, you’ll also want these to be lighted clear enough. But it is not always recommended to place a lot of light outside. It is better to leave some places more dark, as this gives a much nicer atmosphere. Outdoor lighting based on solar power are very interesting, mostly because they are completely depending on the sun, which means you don’t need any cables. So there is no extra cost to lay some cables. You are also free to move the lamp to any desired location, as you don’t need any power source. 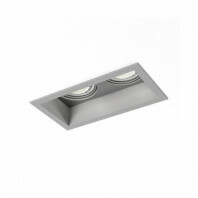 Besides that, these lights are of course also very economical and you will have to pay a much lower energy bill. 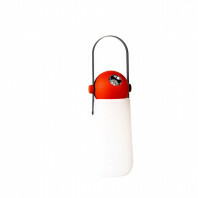 The Gacoli lamps all work on solar energy and they have outside lights in every category. 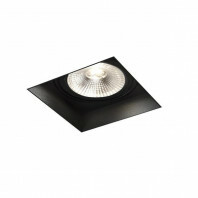 Just as with solar lighting, LED lighting is a perfect choice if you want to consume less. The durability is also a lot longer than with normal bulbs. For example, the Slide Cubo Outdoor has a version with LED lights integrated. Picking the right outdoor lighting can be difficult, that’s why we are always reachable via phone, mail or chat. So feel free to contact us. All our garden lights are send for free and you can try them at your home for 30 days. So if they are not completely your thing, you can always send them back for free and we’ll give your money back. Wall lights can give you some nice effects. 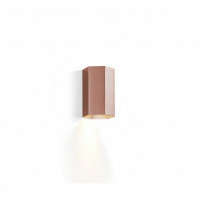 Just like with other lighting categories you have to keep in mind where you are going to place your wall lamp and for what purpose you are going to use it. 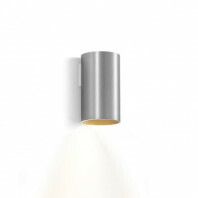 Based on that, you can make the right decision and choose the best wall lamp. At Lamptwist we sell design wall lamps of famous and less famous brands, such as Lightyears, Tom Raffield, Secto Design, LZF and Graypants. 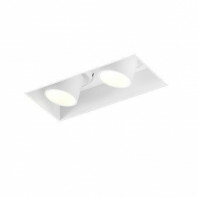 We can distinguish two types of wall lights. On the one hand you have decorative wall lights. 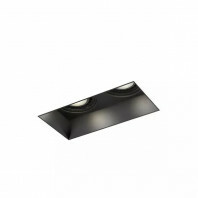 These wall lamps provide a certain atmosphere with a room, for example by giving a light that is reflected back against the wall. This can create beautiful effects in your home. On the other hand there are also functional wall lights. These are made to read or to work under. Think for example of bedroom wall lights that you can move by the use of an arm, just as with the Secto Design Owalo 7030 wall lamp. 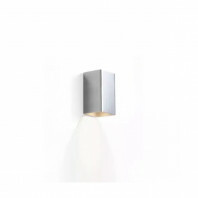 As last thing we would like to mention that if you are looking for a wall lamp for your bathroom, you should look at the specific characteristics of the lamp. Each lamp has an IP rating. This is a number that tells you more about the degree of protection against substances from the outside. This could be water and moisture but also ordinary dust. The higher the IP rating, the better the protection. Inside a bathroom it is important to know which lamp you are going to place where because you don’t need the same protection everywhere. For example, if you are at 2,5 metres of your shower or bath, then you only need a lamp with an IP value of at least 21. This will give the lamp a protection against drops. 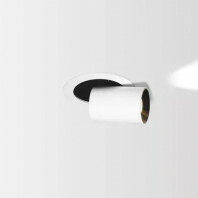 When you are in a radius of 1,2 m from your bath or shower, for example directly above the shower or the sink, then you need an IP rating of at least 44. When you are in a radius of 60cm you need a minimum of 45 IP. A desk lamp is ideal and essential while working. It is very important that you have enough lighting while working. Therefore, it is also useful if you can adjust the lamp his height and direction. This allows you to let the light shine on the place that you exactly need. Almost all desk lights have a switch or button to turn the lamp on and off. More and more desk lamps also have a dimmer. This is mainly due to improving technology of the LED. Previously, LED bulbs were not as good dimmable, but now they do. This is a great improvement because LED lights last much longer and are much more economical, which saves you a lot of money. The lifetime duration of a LED bulb is between 15 to 20 years, while a halogen bulb only lasts one or two years. This is quite a big difference and makes it definitely worth considering buying a LED lamp or bulb. 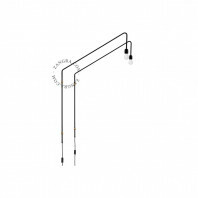 A good example of LED desk lamps are the Artemide Tolomeo Micro or Calabaz Mic. 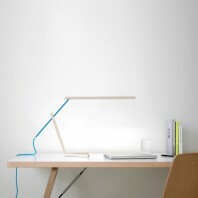 More information about designer desk lamps? 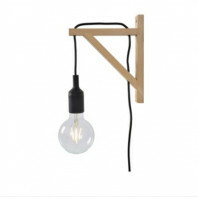 Choosing a good desk light is not always simple. That's why we're glad to help if you have any questions. 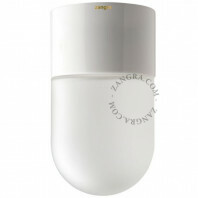 Do you know that you can try all of our lamps for 30 days at your home? 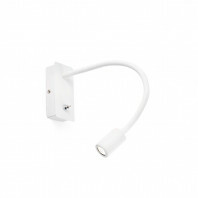 This allows you to see whether it fits your place or not! If not, just send it back to us, completely free! You can contact us and ask for your return label. As soon as we get your package back package we will refund your money. One quick glance at the Verpan collection is enough to understand what you're dealing with, because of the unusual, daring design decisions. 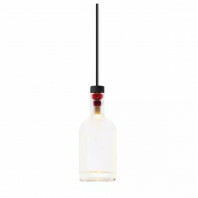 The Pantop pendant lamp is really a bit of light on the market today and comes available in a several colour variations. One quick glance at the Verpan collection is enough to understand what you're dealing with, because of the unusual, daring design decisions. 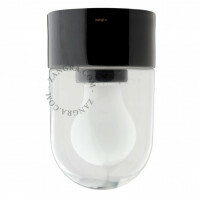 The Pantop table lamp is really a bit of light on the market today and comes available in a several colour variations. 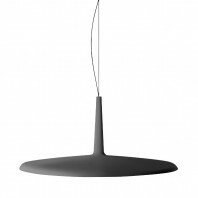 The Vertigo Bird Mantis is an elegant table lamp, designed to serve in both modern home and office environments. The combination of wood and metal emphasize its minimalist principle, while built-in warm white LED bulbs provide natural lighting. 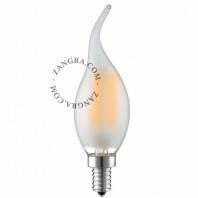 Design wall lamp letting appear all the beauty of a bulb. 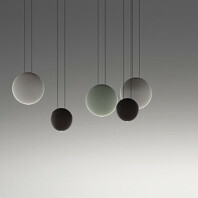 The WAW Lights Balance's lamp is a real jewel for your inside. It has a design and natural curves which embellish your rooms. 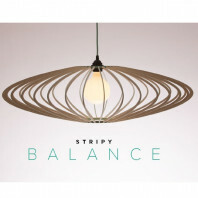 Inspired by the nature this pendant offer us peace and serenity. 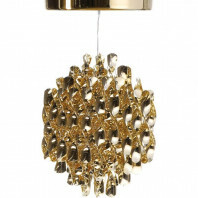 The WAW Lights Perspective pendant give a sobriety and a touch of modernity in any space. It has a sublimating fineness which perfectly decor its environment and give it a second dimension. The Guidelight, by Floris Schoonderbeek a designer, entrepreneur and concept developer, is just one of his innovative designs, built on practicality and honed by his love of camping. The Guidelight has been deemed as a flashlight, a work light and an outlet for ambient lighting, all in one. 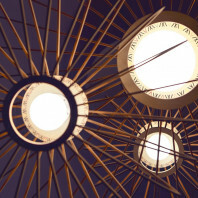 The ambient lighting produced from the Weltevree Stringlight transcends any aura into a warm environment. With just the installment of the stringed light lamps, the desired area can be transformed from a plain setting to a nice and cozy place to settle down. Two words : creative and innovative. Who would imagine suspend glass bottles in the ceiling ? 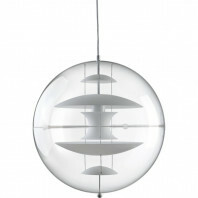 Very modern and design pendant by Wever & Ducré. 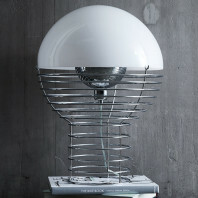 With its friendly design, this is certainly the most ideal lamp for lighting up reading areas, above a bed for example. Designed and handcrafted in Belgium by Zangra, the 180° lamp can, as its name suggests, rotate from left to right with an angle of 180 °. 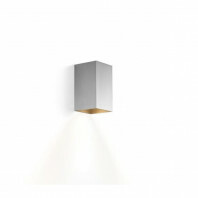 The 180° lamp should be fixed to a wall and is aimed at interior spaces only. 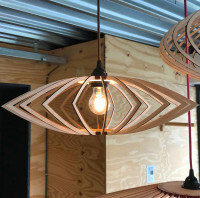 This lamp has been designed and handcrafted in Belgium by zangra. Once it is fixed to the wall, it can rotate around its vertical axis with an angle of 180 °. 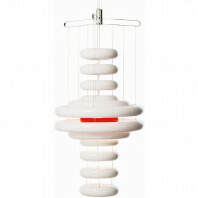 Designed and handcrafted in Belgium by Zangra, this lamp can rotate from left to right with an angle of 180 °. Fixed to the wall, it becomes a really intersting decorative element. 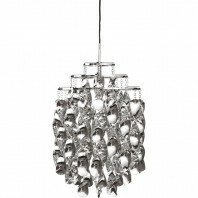 This string light is perfect to settle a festive atmosphere on your terrace but also in your home. This strings are connectable end-to-end so that you can easily lengthen it. 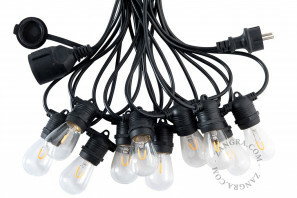 It is available with a black or a white cable, and the light bulbs are either clear or colored.